Giving sight to the legally blind becomes more of a reality every day. Canadian tech firm eSight is part of this movement. 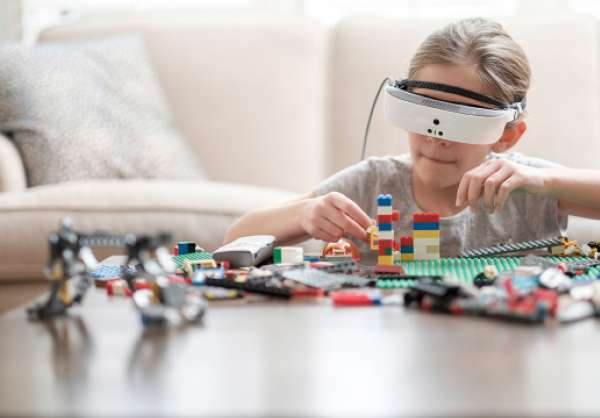 This Ontario-based company recently released the third generation of its eSight high-tech smart glasses, which are designed to enhance the sight of those with low vision. Their motto, “Everyone Deserves to See,” says it all. With the World Health Organization estimating that approximately 246 million people live with low vision globally, it’s eSight’s aim to provide those individuals with better sight. The captivating piece of technology not only enables a visually impaired person to obtain steady employment and navigate the world confidently, but also gain a stronger sense of independence. An eye doctor will categorize you as legally blind if your central visual acuity is 20/200 or less with the best possible correction, and/or a visual field of 20 degrees or less. This means that when you are using corrective eyewear, a person with 20/200-vision acuity standing 20 feet away from an eye chart can see the same as a person with perfect vision when they stand 200 feet away from that same eye chart. Low vision is defined as having a visual acuity of 20/70, and perfect vision is 20/20. Those who fall in the low vision category can benefit from eSight eyewear. Smart glasses enhance acuity for those who suffer from a variety of conditions such as macular degeneration, diabetic retinopathy, ocular albinism, cone-rod dystrophy, Stargardt’s disease, and retinitis pigmentosa. Similar to how virtual reality goggles function, this technology is brought to life by a head-mounted high-definition camera that is connected by a cable to a controller, a data processing unit, and a battery pack. The camera sends images of the user’s surroundings to the controller, where information is then processed. Two LED micro-displays use an optical prism system to magnify the images for the user, taking into consideration the wearer’s eyeglass prescription, and optimizing the scene around them accordingly. The result is full-colour footage displayed on the screens inside the glasses – with no lag time. Users can instantly switch from close-to-near and near-to-long range vision processing and can zoom in up to 24 times on objects. It is Wi-Fi, Bluetooth, and HDMI capable for direct content streaming of video games, movies, or television. Since its founding in 2006, eSight has produced three generations of smart glasses. Although there are many other companies developing similar products, such as Aira, Orcam, ThirdEye, and Microsoft, few are magnifying live video like eSight. Most in the market involve cameras attached to glasses that use image recognition software to generate an audio description of the image for the wearer. Clinical trials are still underway and should be completed by the end of this year. Although there are minimal risks while using the glasses, users face a few obstacles. Because the glasses are meant to be worn while sitting or standing, the possibility of tripping and falling while walking exists because the frames cover the user’s eyes. In an interview with the Globe and Mail, University of Toronto professor of ophthalmology Samuel Markowitz stated that eSight’s glasses are the most versatile option for the legally blind currently available, as they can improve vision at near and far distances, plus everything in between. The retail price is approximately $10,000 CDN. To make the technology accessible to those in need, eSight helps promote fundraising campaigns that have been set up to purchase the glasses. Regardless of cost, people are noticing the impact eSight is making. It’s easy to find countless videos online of users experiencing vision for the first time wearing the smart glasses. Like 10-year-old Benny Francey from Selkirk, Manitoba, whose rare disease Leber congenital amaurosis prevents him from seeing anything but silhouettes. His mom Jenna Cason described to Optical Prism how he was able to see her face, read books, and watch his favourite movies for the first time. Eleven-year-old Olivia Lettich watched her first Calgary Flames NHL game last month with the help of eSight smart glasses. She had attended games before, but she was overwhelmed by what she saw through the device. "She got a little teary when she first put them on, and she said, 'Everything is so beautiful’," her mother, Meredith, told Calgary Metro. "It's the little things, the details that come out because of the glasses, that she's now able to experience." She helped sing the national anthem with country singer George Canyon, and three of her favourite hockey players even gave her a special behind-the-scenes tour of the locker room during this once in a lifetime experience. You can also visit our blog for the story about Kathy Beitz, a Guelph, Ontario woman, who wore the glasses to see her newborn baby for the first time. “For the first baby that I actually get to look at to be my own is very overwhelming,” said Beitz. For more information on this amazing technology, or to view more life-changing stories, visit their website.